We recently launched the next video course in our master trader series. This course covers the most bullish consolidation pattern – the high, tight flag. We went back through monthly screening results over an 8 month stretch in late 2017 to August 2018 to find all these patterns we could. The results were pretty stunning to say the least. Here are just a few examples of the incredible runs after a high, tight flag breakout that meets the qualifications in the new videos recently released. Keep in mind that none of these stocks are risky penny stocks under $5. RGNX soared 80% in just over a month. EGAN cruised over 100% higher in about 2 months after breaking out of a high, tight flag. We caught a later high, tight flag for subscribers in the Daily Alert just before a 40%+ move higher in just over a week. CRC went 85% higher in about 2 months out of what many technicians consider the strongest technical pattern. Ticker I surged 160% in less than 3 months out of a high, tight flag. HUYA exploded nearly 70% higher in just 5 trading days. HEAR skyrocketed 500% higher in just 3 months out of the #1 technical pattern. That is just a small sample of the enormous moves made out of a high, tight flag. 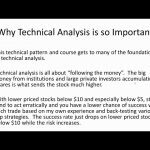 The average max gain before closing below the key technical support level taught in the course was around 40%. This is assuming you only trade the ones that adhere to the precise rules laid out in the course. The average time to reach the average max gain was just over 3 weeks. This powerful chart pattern is coming up more and more in 2019. In fact, we saw are seeing a LOT in 2019. In the course, we teach you the buy/sell rules that achieved a nearly 90% win rate during the back-test. This was with a tight 4% stop-loss and an average profit of nearly 2.5 times that in less than 4 trading days on average. Pretty incredible back-testing stats. It even beats the earnings eruptions strategy and the explosive bottoming pattern. Again, a lot of these broke out during the summer in the back-test which tends to have worse results for all strategies. This one trading strategy could make a big difference in your results this year. I am truly excited to bring this strategy to you at just the right time. The video course even goes over which industries to avoid for an even higher win rate in our back-testing. Industries that tested poorly with other strategies as well. We also go over the popular methods to trade this technical setup and show you a better way that averaged 32% more profits and actually lowered the average time in the trade to less than 4 days. We also share with you how to know when to go for the “home run” and when to lock in great profits in a very short period of time. In the course I’ll also go over exactly how to find these setups, the volume needed, price ranges that work best, times of day the breakout should occur for the best results and other powerful insights every trader should know. The first video in the course is below. Start learning the most bullish technical pattern today!